Like many PC gamers, I’ve spent quite some time enjoying Team Fortress 2. I can’t claim to have played it consistently since 2007 but I do have some friends that could. I have however found myself dipping my toes back in again and again. 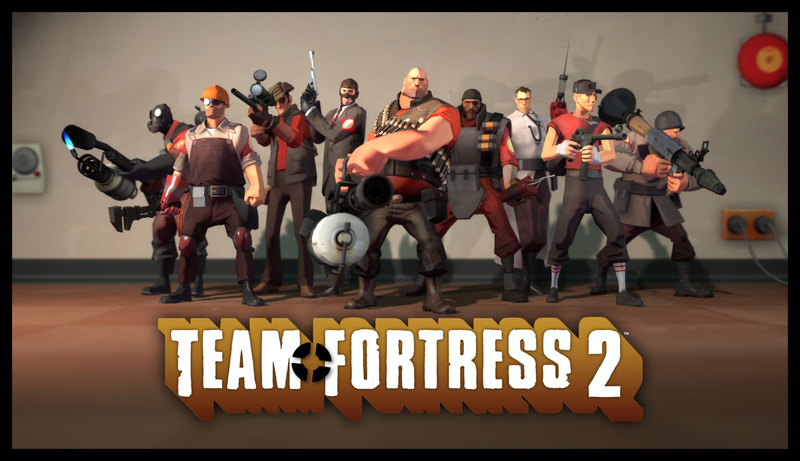 My relationship with TF2 has always been a bit of a mixed bag – initially, I found it hard to enjoy, but the more I played, the more it grew on me. Nowadays, it seems to be almost seasonal, synced to the events that keep Team Fortress 2 in the public eye.With five years’ worth of content and an open platform for modders and modellers, there’s few other FPS games with the variety that this game has. All that content, some of it being rare and limited, can overwhelm new players. Yet despite this mother lode, the Team Fortress 2 experience doesn’t seem to have changed that much. If you haven’t played the game in a while, don’t be afraid to load it up once more. Each class still functions more or less the same as they always have, in spite of the new options. The Pomson 6000 – One of many items added over the past year. The items (weapons, hats, badges, etc) that litter each player’s character are how TF2 continues to keep the cash flowing in so long after release. Semi-frequent random drops allow players unwilling to lay down cash a method of keeping pace with those who are, but with most items being sidegrades rather than upgrades, there’s little to worry about if you’re not being lucky with the drops. 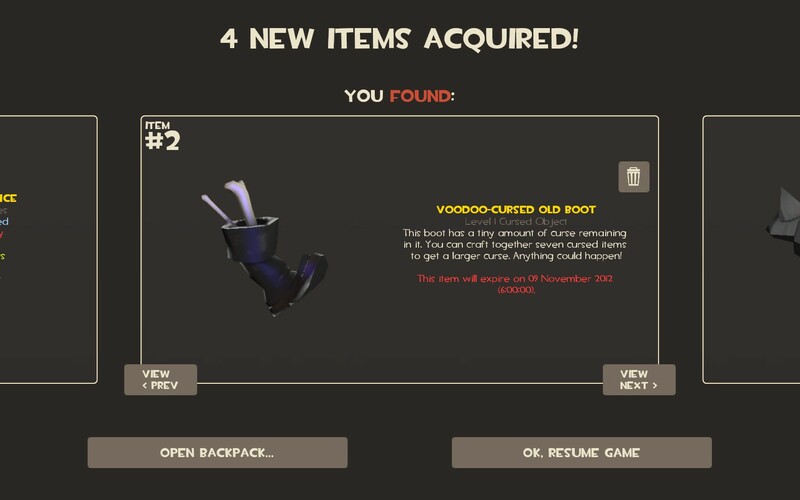 A crafting system levels the playing field even further, and although the odd Mann Co. crate might enter your inventory and encourage you to spend some money on a key, there’s really no great reason to do so. While all the weapons, gadgets and gizmo’s are available on the store, the real money comes from the aesthetic items – hats, tutus, glasses, whatever – if all it does is set you apart from every other player of your class, the easiest way of getting it is to buy it. Just in and already, I’m inundated with new items. What about all those new players that joined when the game went free-to-play? 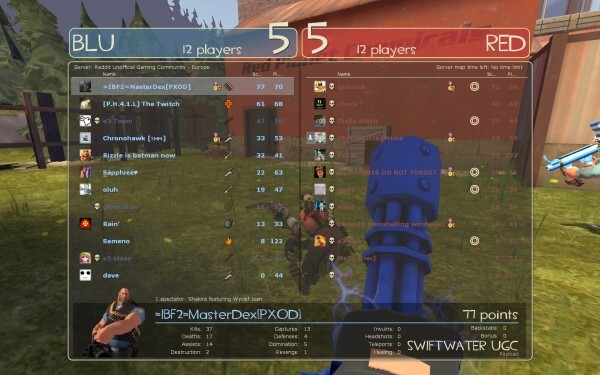 When the title first became available for free, many of the core players complained about the lower standard of quality; servers were set up that disallowed those playing on free accounts. A year on, I can’t say I noticed any issue. I’m an original purchaser but the selection of servers was good enough that any new players looking to play for free shouldn’t have any problems finding a welcoming place to do so. 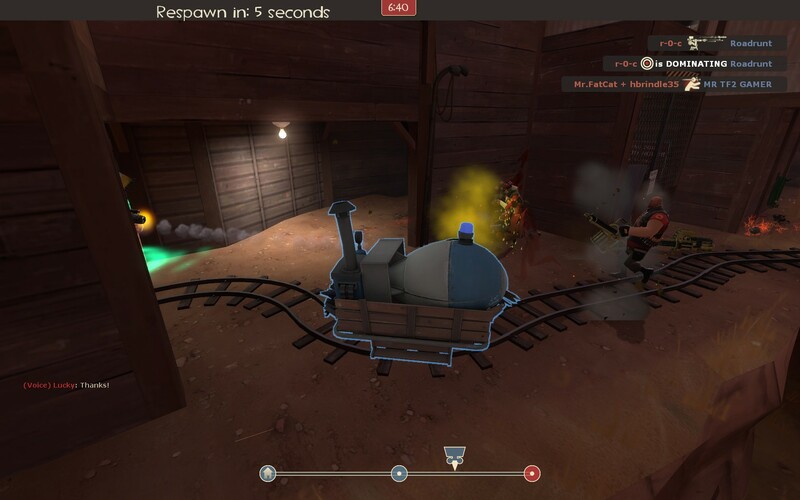 Sometimes, things just go your way, especially when you’re a Heavy. All in all, TF2 appears to be as healthy as ever. With Valve behind it, it’s got every chance of continuing to be profitable. So long as the plethora of items added doesn’t end up tipping the delicate scales of FPS balance too much, it will also continue to be an entertaining way to waste some time. 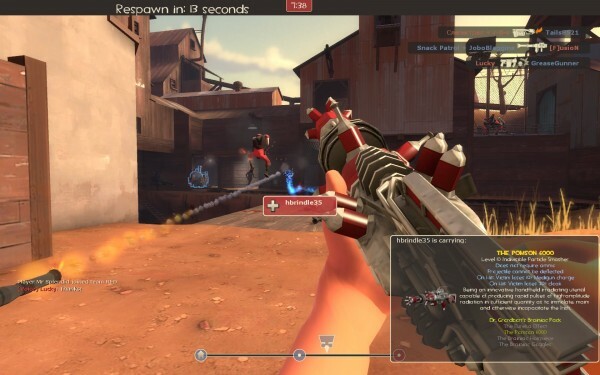 I have a 6 year old daughter and a highschool aged brother.. From my experience in playing with them, I have to say.. TF2’s held it’s own even after becoming f2p. Even my mom (mrs spider solitaire) touched it and giggled when she accidentally killed her self over and over.